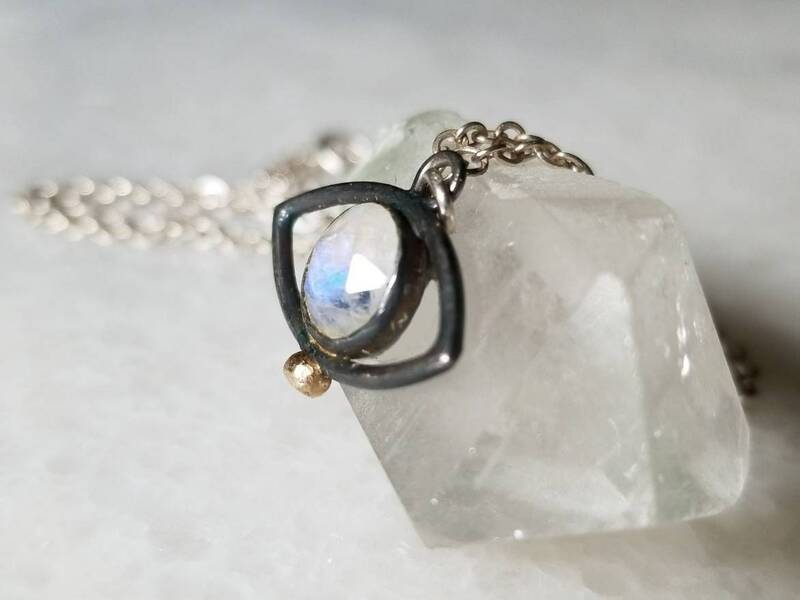 I created this pendant around a beautiful 8mm rose cut moonstone. 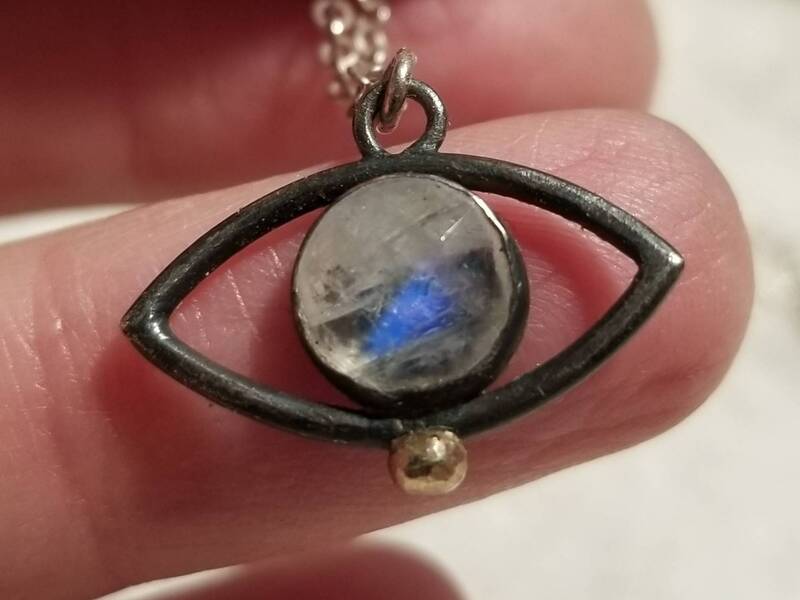 The stone has a lot of depth and lots of bright blue flashes. 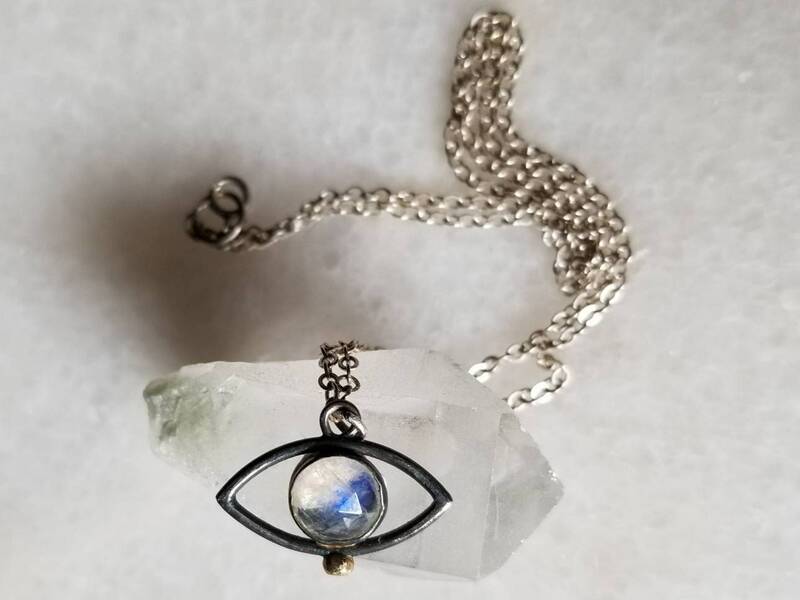 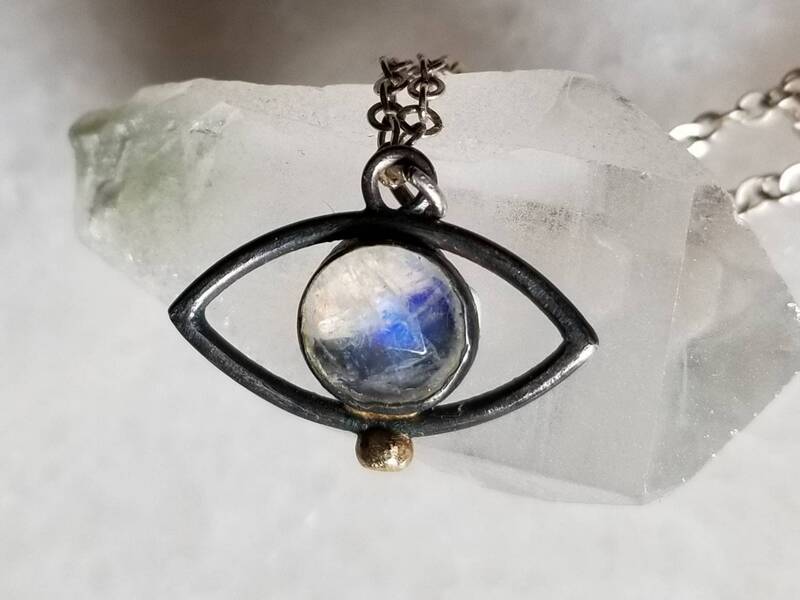 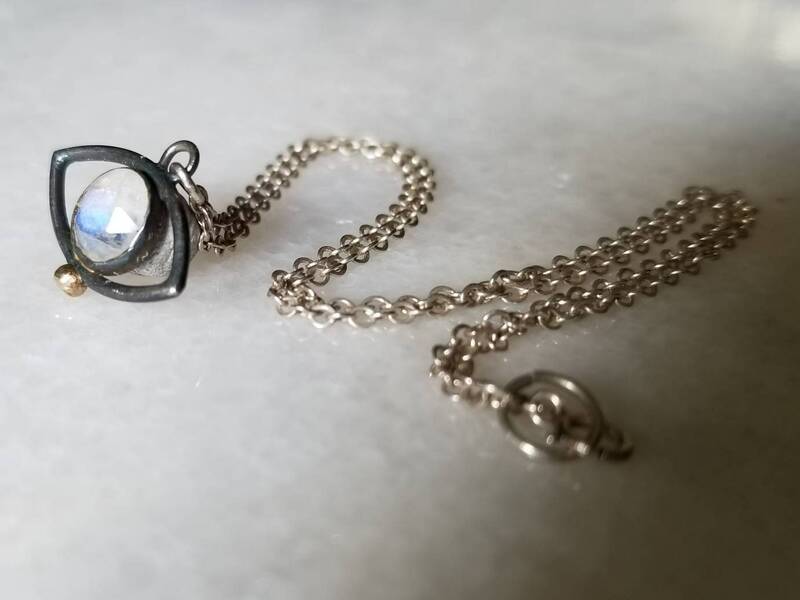 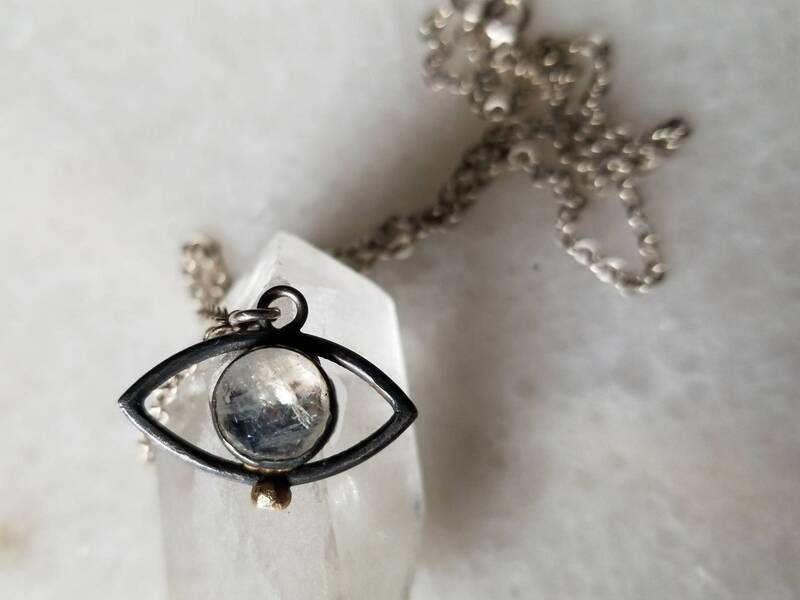 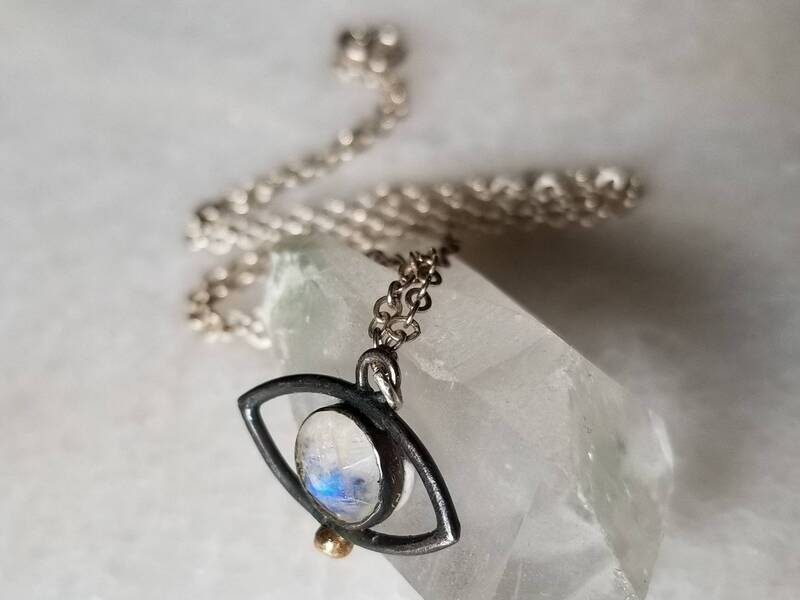 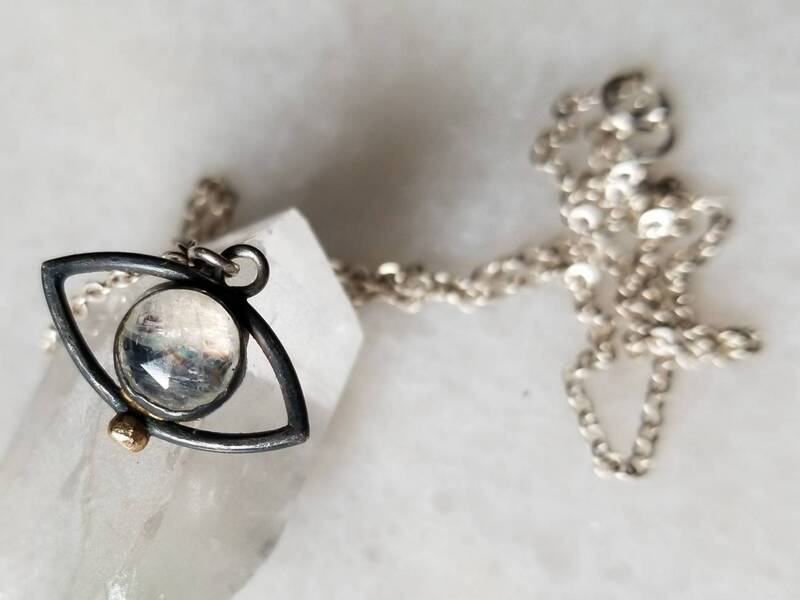 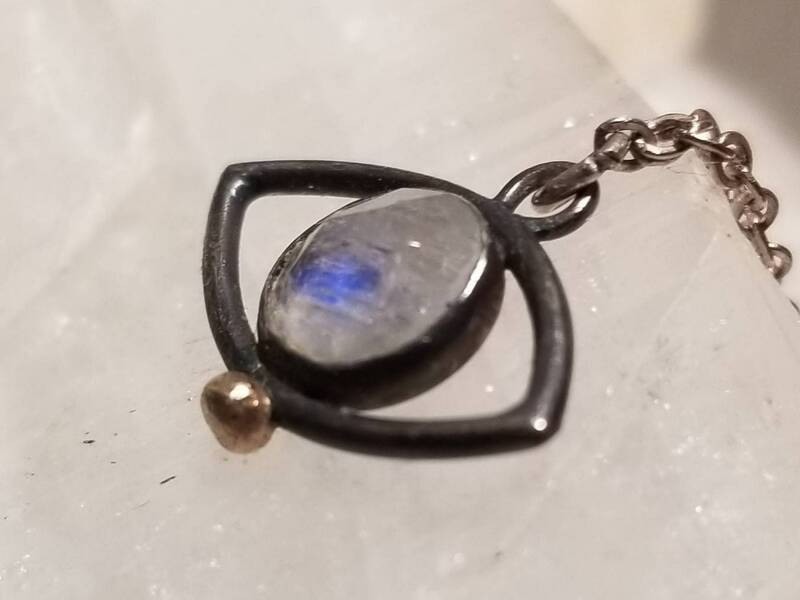 I built an eye out of sterling silver 1.4mm wire and adorned it with a 2.8mm 14k gold sphere, which contrasts nicely with the oxidized finish of the silver and the lightness of the moonstone. 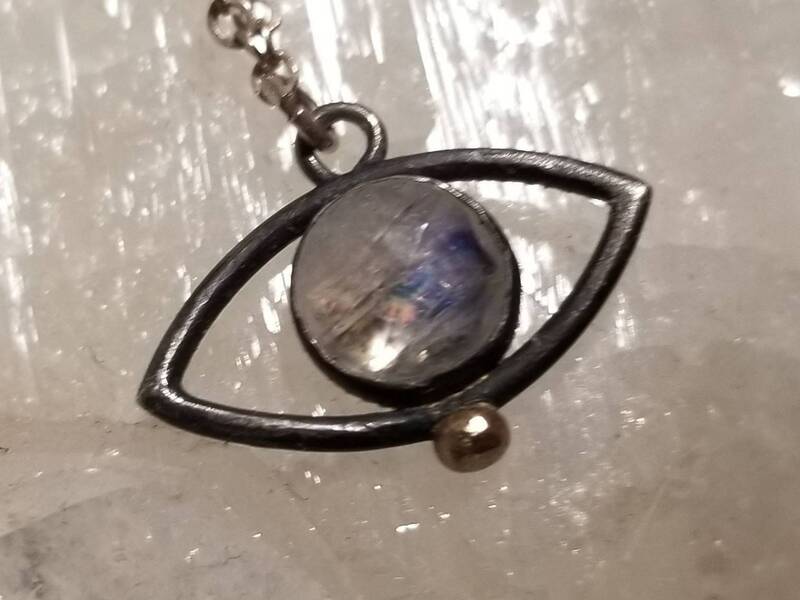 This pendant is one of a kind and comes wit a 16 inch sterling silver chain.